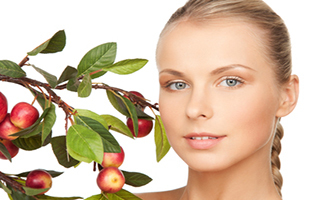 We'd all like to keep our skin looking young forever. One of the reasons we struggle to do that right now is because our stem cells simply can't keep up with the stresses of our environment and the demands of replicating themselves. Stem cells, as you may know, serve as blank canvases and eventually become all the differentiated cells in our body. 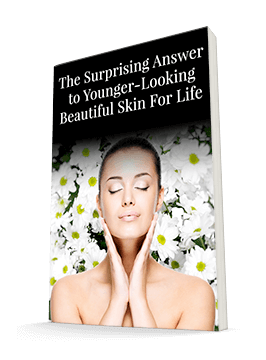 When old cells start to outnumber the new, healthy cells, our skin looks old too. But nature may have the solution. Just like humans, plants also have stem cells that allow them to continue generating the new types of cells they need. Scientists can harvest these stem cells and use them to revitalize human skin. But certain types of plant stem cells work better than others — particularly if the plant itself is resistant to aging. Today, many plants are cultivated for taste, color, or the ability to withstand long trips to a grocery store. That won't help your skin. But centuries ago, before refrigeration was available, it was more important for food to stay fresh for as long as possible than it was for it to attract a grocery store patron. One species of apple tree in particular was cultivated to have apples that could be stored for long periods. You can still find this species of apple, the Uttwiler Spätlauber, on a few trees in Switzerland. When scientists discovered this hardy species, they gathered some of the plants' stem cells to study their effects on human stem cells. The results were astonishing! In their first study on human stem cells, a concentration of 0.1% of Uttwiler Spätlauber stem cells promoted the proliferation of the human cells by 80%. In a second study, the researchers irradiated two groups of human stem cells with UV light. Nearly half of the cells in growth medium alone died, but the vast majority of the cells grown in a culture containing the apple cells survived. In yet another study, the researchers treated cells with hydrogen peroxide until they began to show signs of aging. They then incubated the aging cells in a 2% Uttwiler Spätlauber solution for six days. The aging signs were neutralized or even reversed in some cases! Clearly, these apple stem cells have a powerful effect on human cells. These unique apples may hold a key to reversing signs of aging and helping our own stem cells do their job for much longer than they've been able to in the past. While scientists continue to study these special trees, you can begin to harness the power nature offers your skin now by using Système 41 Night Treatment. This night cream combines the patented apple stem cell ingredient with hyaluronic acid — renewing your skin cells and holding moisture all at once. Daily application of the night cream will help to preserve, renew, and protect your own vital skin stem cells.